As you can see I redraw some lilies, and painted over the japanese words etc. So I didn't draw this, but I really liked it, and I wanted it as a wallpaper, so that's why I "cleaned" it to be my pretty wallpaper lol. Hope ya like it! That is awesome! This is the image I've been wanting to find for so long. 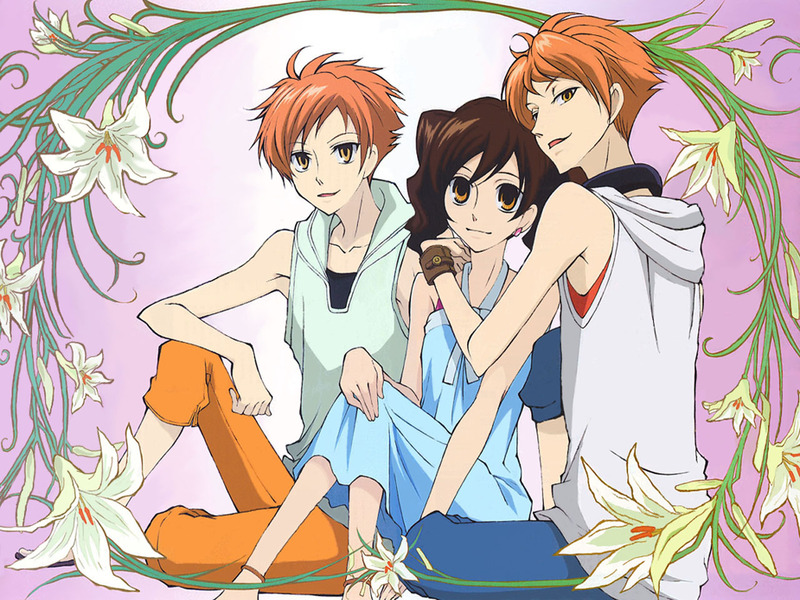 T_T I love the twins, and having Haruhi in there with them is just grand. :) Thanks for the wall submission! Kkkyyyaaa! i tink Haruhi is soooo kkyyyuuuttt in ere! & d twinz r soooo d naughty type! Hehehe! LOL I love Hikaru's expression - "Mine!" Haha too cute. hikaru is the one hugging haruhi right? hehehehhe! i completely in love with this! thanks you so much for it!